I apologize for the automatic translation. Hello everybody. I recently started writing a small script that allows you to do Bevel after the Booleans. 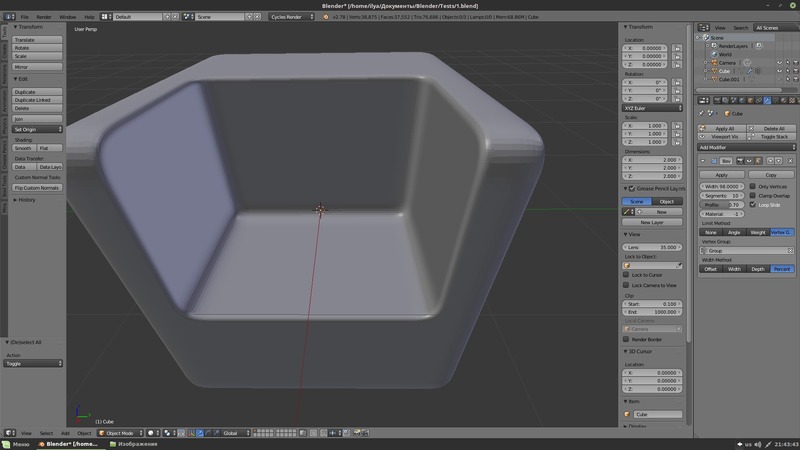 I just started learning Python and Blender api. Therefore, my implementation is very primitive and contains errors. My code may look very bad and contain many errors. But I’ll try to fix it in the future. To use, Tools Panel>Boolean Bevel. Twist Mode - Mode of twist curve. Preview Curve - Preview the curve, before the cut. (In the future for the variable fillet). Now you can check the self-intersection of the curve. Path Operation - (The object is cut differently). Union works better. 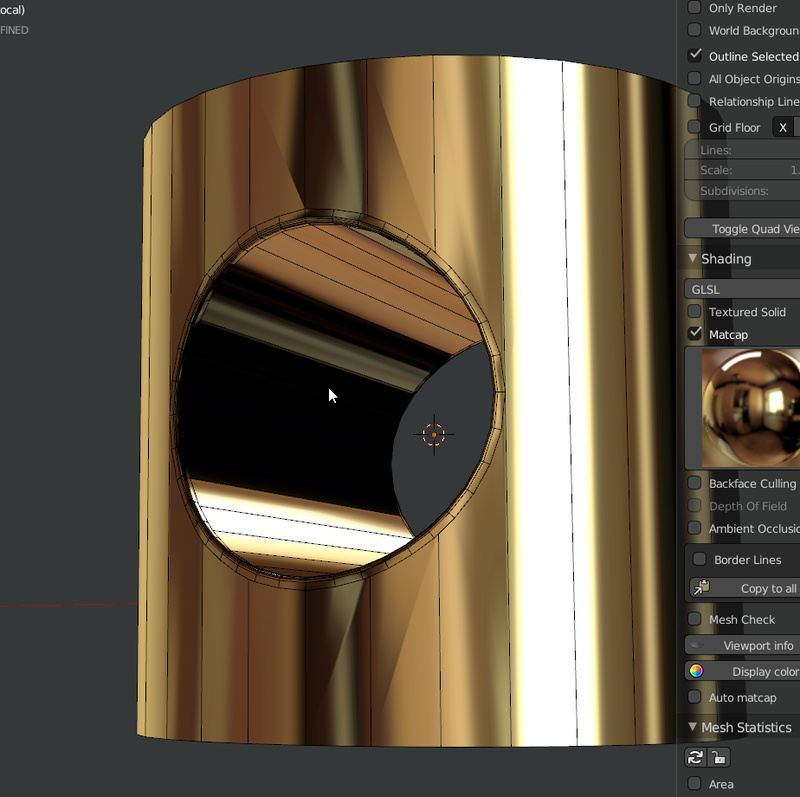 Custom Normals - use custom normals for good reflections. Make Pipe - create pipe on intesection. In the Add-on you need to select Preview Curve. Then you need to enter the curve editing mode. Perform the necessary actions. Let’s choose a point in proportional editing and change its radius (Alt + S). Use the BoolTool or Boolean. But not apply. Warning: This add-on is still in development. Badly works with low-poly objects. Edit 29.08.2017: Update file (Now the shape of the transition, should be more smooth.). Something else that I do not remember. The link is broken, please. I tried to fix it. Now work? Excellent work! It seems that we are very near of having a ‘meshfusion’ in Blender at last! Keep the so good work! It is going to be a great plugin. 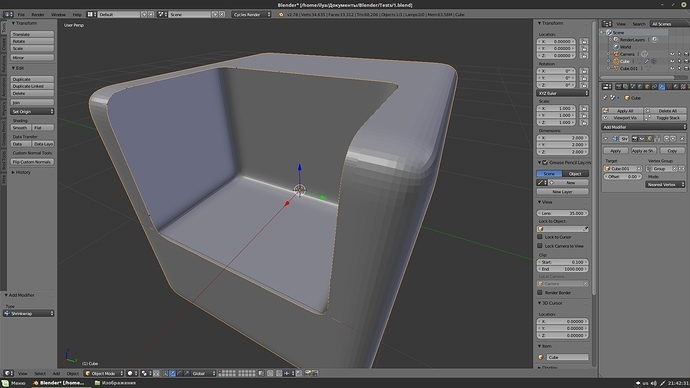 And even more, it can be added as a standard tool to the trunk of Blender in the future maybe. Blender is in great need of such a tool. Because the ‘bevel’ applied by this addon looks like a second mesh applied to the target/boolean-ed mesh (then joined both together). What I say is right? 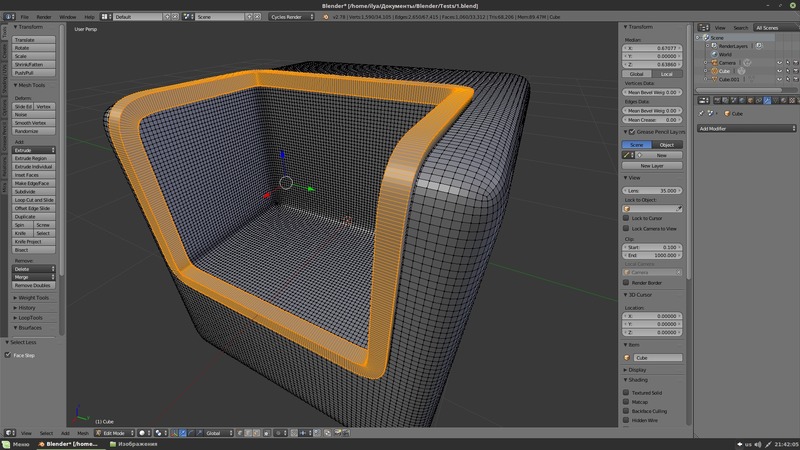 I mean, the ‘bevel’ mesh of this addon simulate the shape of blender’s bevel, but how that shape is made exactly? It take the information of that shape from the already present blender’s bevel, or you writed in the addon code the ‘position’ of the various verts to obtain that shape? 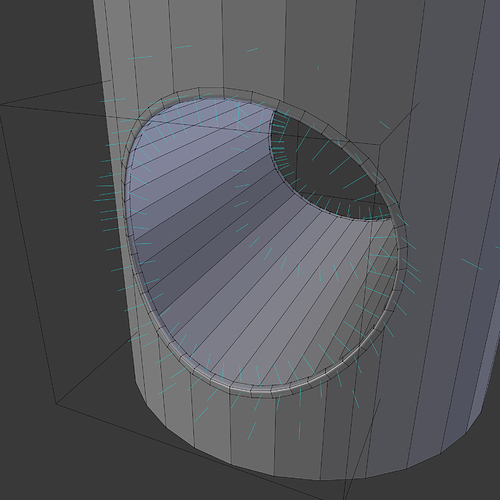 If the latter, then you can add ‘positions’ to obtain more/various bevel shapes. Sorry Rodinkov my english is not good too; btw can you explain that aspect? Looks really nice! Keep up the good work!! Ilya can you make a step by step video tutorial please. I tried to make it work many times but in vain. It would be good to demonstrate all the steps slowly and one by one. Amazing work. It’s basically cleaning the topology! Maaan! This is really cool, and it works similar like Mesh Fusion from modo I tested it and I started to like it! That’s probably impossible, but is there any way to keep all modifiers, rather that accepting them? Having non-destructable workflow and changing booleans in fly would be muuuuuuuuuuch great. That sounds so good ! Привет, скажи будешь работать над фиксам нормалей после буля? Normals are in order. This is because of the small number of polygons. I can see you coded in an extra loop around the stripe to use as a topology buffer. I’m going to try and code some merging functions to perfectly blend in the topology with the original model!!! Super Cool! Does this work with Boolean Unions also? Make this a modifier, please, something interactive.